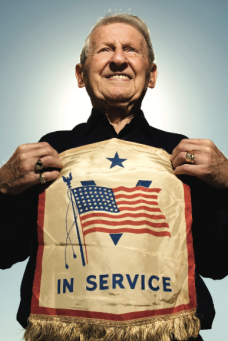 Thirteen veterans of WWII and other historic wars will be presented with their portraits taken as part of the American Heroes: Portraits of Service project for Belmont Village Senior Living in West Lake Hills. Nationally recognized photographer and author Tom Sanders took the portraits and collected the stories of these veteran residents last month, and will be on hand as the portraits are added to the permanent gallery at Belmont. Dignitaries and community leaders will join veterans and their families on Thursday, January 24, from 4-6 p.m. at Belmont Village Senior Living, 4310 Bee Cave Road. Sanders will speak at the event, and veterans will also be available for interviews. A local high school color guard will help honor the vets. Photographer Tom Sanders set out on a mission to chronicle the images and stories of WWII vets before they are lost forever. For Belmont Village, this is an opportunity to recognize and honor the service of the hundreds of veterans who reside in its communities around the country. The majority of Belmont Village residents who served were in WWII, Korea, and in a few cases, Vietnam. Some were involved in combat and participated in pivotal battles; many performed key support functions; and others were involved in weapons development, testing, and training. 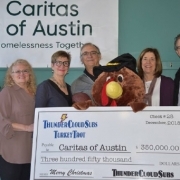 The owners of ThunderCloud Subs presented the largest single donation ever from the proceeds of the ThunderCloud Subs TurkeyTrot—$350,000—to Caritas of Austin just before Christmas. 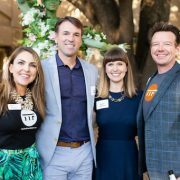 ThunderCloud has now raised nearly $3.8 million over the Trot’s 28-year history. 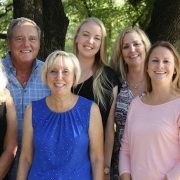 The Trail Foundation has received a major gift, $1.1 million, to seed all of its new projects to protect, enhance, and connect the Ann and Roy Butler Hike and Bike Trail. 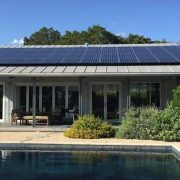 Freedom Solar has ramped up its presence in Houston and introduced a new energy solution to protect homeowners and businesses from losing power during outages: SunPower solar systems combined with the Tesla Powerwall 2 home battery. 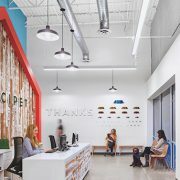 Emancipet’s state-of-the-art Central Austin clinic, which opened its doors earlier this year at 1030 Norwood Park Blvd., is featured in the July 2018 issue of Interior Design. 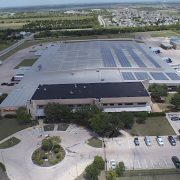 Brown Distributing Company teamed up with Freedom Solar Power to install a massive 481-kilowatt roof-mount system on its facility, making Brown the first beverage distribution company in Texas to “go green” with solar panels. 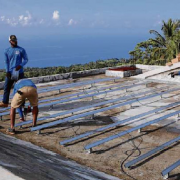 There was an incredible story about our client Freedom Solar Power‘s life-changing trip to a Haitian orphanage where they installed a donated SunPower solar system and battery backup. Thank you to Austin American-Statesman reporter extraordinaire Gary Dinges for recounting their remarkable journey with such vivid detail. 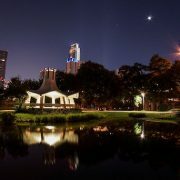 You can read the entire story below, to or click here to read the original source article on the Statesman’s website.